Guidelines published by the National Institute for Allergy and Infectious Diseases conclude that neither standard blood nor skin tests are sufficient for making a diagnosis of food allergies. However, some healthcare providers have found that combining the results of these standard allergy tests with an elimination diet has helped those with interstitial cystitis (IC) develop individualized diet plans that can help control IC pain and bladder flares. Urologist John Hubbard, MD and allergist/immunologist C. Steven Smith, MD, from Louisville, Kentucky, are studying the link between allergies and IC. In addition to seasonal allergies, the team is finding that food allergies are also common in IC patients. Dr. Smith estimates that 35 to 40 percent of IC patients he sees have genuine food allergies, based on the results of their skin-prick tests and elimination diets. He found that their IC symptoms decreased when they removed those foods from their diets. 12 percent of IC patients reported being diagnosed with celiac disease, a gluten-intolerance disease. 15 percent of IC patients stated that foods with gluten bothered their IC symptoms. These findings are consistent with research published by the University of Maryland. They proved that gluten sensitivity and celiac disease are two very different things on a cellular level. This means you can be sensitive to gluten which can cause IC-related symptoms, without having celiac disease. A group of researchers at Baylor College of Medicine in Houston, Texas also studied the link between IC and gluten intolerance in a group of 39 IC patients. Their findings report a strong connection between gluten sensitivity and IC symptoms in this group of patients. Participants in this study also reported that a gluten-free diet was helpful for controlling IC symptoms. 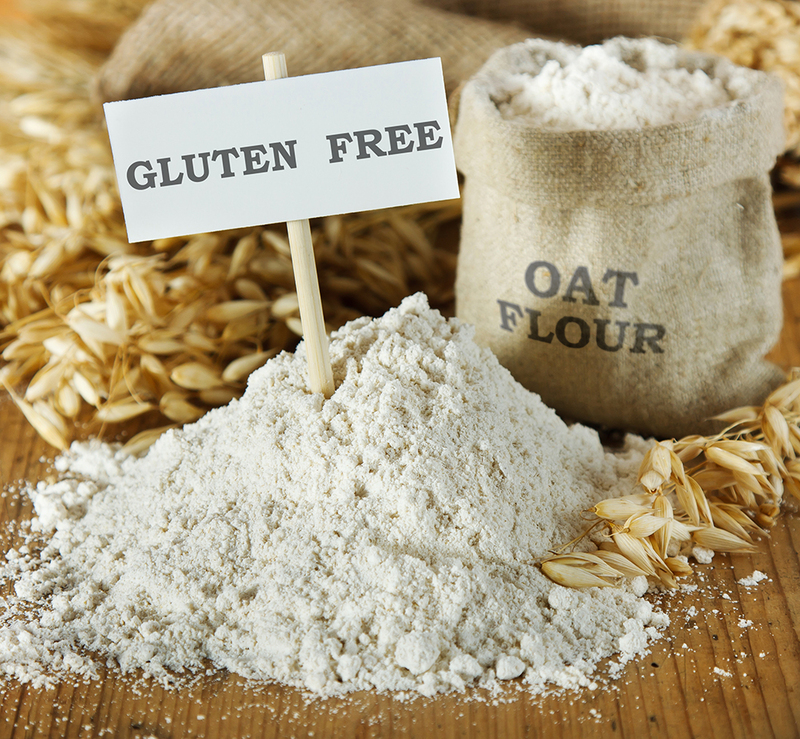 Other allergists and immunologists report that some IC patients feel a gluten-free diet is helpful, especially if they have irritable bowel syndrome (IBS) symptoms or are prone to skin issues, such as unusual rashes. An elimination diet which restricts common sources of gluten, such as foods with wheat, rye, barley, semolina, and couscous (breads, pasta, cereals, cookies, and much more), can give you some clues as to whether to keep gluten in your diet. There are different degrees of gluten sensitivity. Some people with IC only need to limit food containing gluten while others may need to follow a very strict gluten-free diet (avoiding not just foods but products, such as toothpaste and lipstick, which may contain hidden sources of gluten). Sticking with a gluten-free diet is tough. The good news is that today there are many gluten-free products, cookbooks, and recipes, as well as alternative whole grains that are easy to prepare, such as amaranth, quinoa, and buckwheat. Like with any other food group, whole foods are best for your overall health, so try to stay away from processed gluten free products like cookies, snack foods, etc. There has been NO research suggesting people with interstitial cystitis (IC) have a higher risk for lactose intolerance. Bloating or swelling of the belly (“IC belly”) is a common complaint among people with IC. Excess gas and distention of the abdomen may worsen IC symptoms. Research suggests that many things can cause bloating. A buildup of gas in your GI tract may be due to eating foods that tend to produce gas, such as beans and sodas. The pain of bloating may be due to increased sensitivity of nerves in the abdomen. And, bloating can be a side effect of opioid medications. If you have swelling in your stomach or pelvic area, talk with your healthcare provider. Get checked to make sure that the swelling is not a sign of infection or some other medical problem. Reduce or eliminate beverages that cause gas such as carbonated drinks and beer, which tend to be bothersome for most IC patients. Reduce your intake of beans, Brussels sprouts, cauliflower, cabbage, and other cruciferous vegetables. Limit any dairy products that can trigger lactose intolerance symptoms. Try the FODMAP elimination diet, if you have IBS. Ask your doctor about probiotics.